NAIROBI, May 25 (Xinhua) -- Thousands of victims of a devastating cyclone that hit Somaliland on May 19 are in dire need of food, clean water and basic health services, said global charity World Vision in a statement issued in Nairobi on Friday. Cyclone Sagar tore through the north-western coastline of Somaliland, leaving in its wake 47 deaths, destruction of homes and massive displacement of civilians. 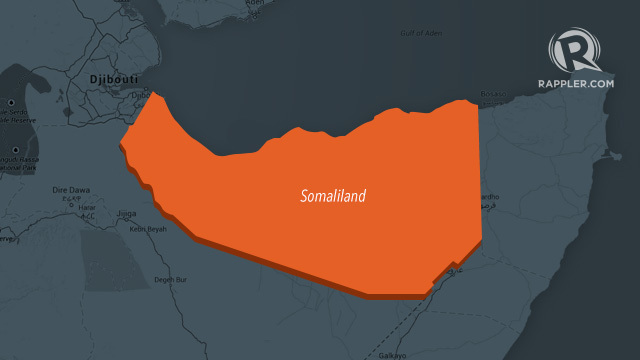 Simon Nyabwengi, the Country Director of World Vision's Programs in Somalia and Somaliland, said the heaviest storm to hit the Horn of African state in modern history has caused severe damage to livelihoods that may take longer to repair. "The cyclone comes on the heels of a series of natural disasters-severe drought that had left more than half of the population in need of humanitarian support and ongoing floods that have destroyed crops, homes and businesses," Nyabwengi said. "People urgently need food, shelter, essential household items like blankets and soap, health services and clean water particularly families that are displaced and hosted in temporary camps," he added. So far, he said, an estimated 1.2 million people have been affected by Cyclone Sagar, hence worsening their vulnerability to hunger, malnutrition and poor health. The World Vision has already dispatched a consignment of essential commodities to victims of Cyclone Sagar and has appealed for an additional 600,000 U.S. dollars to support the most vulnerable victims of the latest disaster to hit Somaliland.